Kashmiri Kahwa, a classic drink from the Himalayan valley, is a soul-warming drink that resonates with the power of Indian spices. Kahwa is an exotic mix of Kashmiri green tea leaves, whole spices, nuts and saffron, which was traditionally prepared in a brass kettle known as samovar. The samovar has a central cavity where hot coal is placed while the surrounding space is reserved for boiling the water and other ingredients for the tea. Indeed, this is one exciting cuppa that you will lo ave to smell, sip and bite too! You will find that the Kashmiri Kahwa will instantly perk you up with its amazing aroma and flavors. It serves as a perfect home remedy for cold, sore throat and chest congestion. It also helps to get rid of the phlegm that develops during cold. The presence of antioxidants helps to moisturise the skin and reduce the occurrence of acne. The crushed almonds added to the tea also work well to cleanse the skin and bring about a natural glow. Kahwa tea is not only a great way to kick start the day but also helps to instantly recharge you whenever you feel tired or lethargic. It is the perfect beverage to relieve headaches, cheer you up and to make you feel more active. Dungher means smoked. This is a typical preparation found in our Rajputana kitchen. We love to smoke the meat, may it be for the kebabs, curries or the biryani. 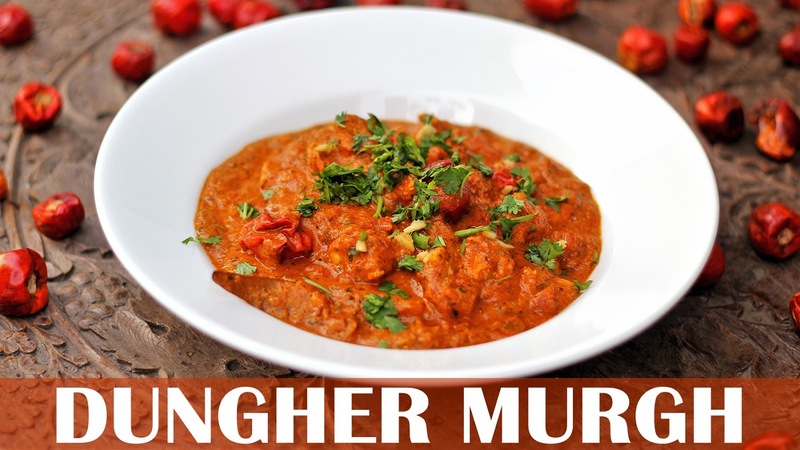 Dungher maas or murgh simply adds another level of flavour to the dish. 1. Heat oil in a heavy bottom large pan, temper it with bay leaves and sauté the onions and chillies. 2. Add tomatoes and cook until the oil separates. 3. Add ginger, garlic and coconut paste. Stir fry for 5 mins on high Temperature. 4. Now add the dry spices and salt and mix all this well for a minute. 5. Add tomato ketchup and mix well. 6. Add chicken and pan roast it with the masala for 5 mins. Pour 1 to 2 cups of warm water and stir well. 7. Add some cream and mix well. 8. Garnish with finely chopped coriander and ginger. 9. Place a piece of burning coal on a foil paper on the curry, add a few drops of ghee to smoke it. Cover it with a lid and cook for another 5 minutes. 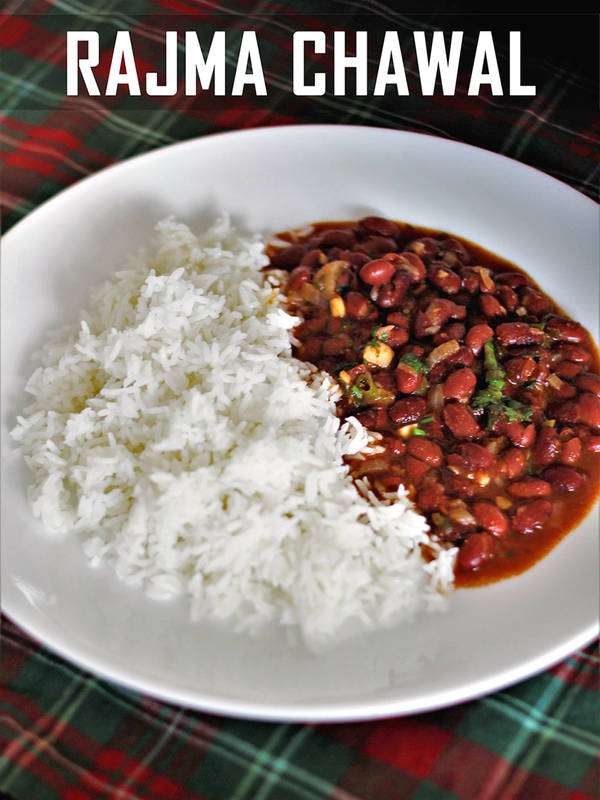 Serve hot with Paratha's or Rice. Enjoy!! 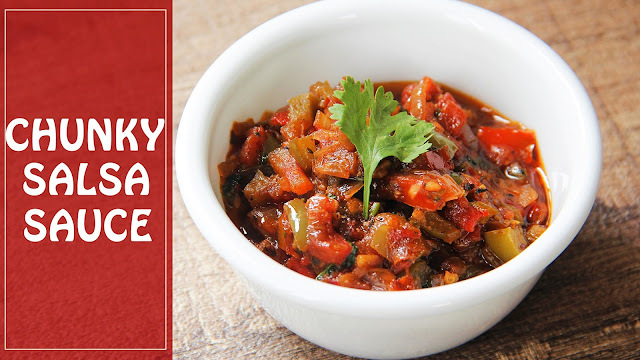 This Mexican style salsa sauce is a delicious dip that goes well with nacho chips. We use this sauce for many Mexican dishes like Tacos, Quesadillas, Enchiladas and Mexican style pizzas. A simple and scrumptious sauce that can be used in many ways. 1. In a deep pan heat the olive oil, add the chopped onions and fry until they turn soft. 2. Add the garlic paste and mix well. 3. Add the chopped capsicum fry for a couple of minutes, add the chopped tomatoes, and cook for a few more minutes. 4. Now add all the dry spices and mix well. 6. Cover with a lid and cook for 5 minutes or until the oil separates. 7. Add the tomato ketchup, lime juice, and mix this all well. 8. Now add freshly chopped coriander and enjoy! A simple chutney recipe that I love to make at home under 10 minutes. The ingredients used are readily available and this chutney pairs up very well with most Indian snacks. You can also use this fresh chutney to make delicious sandwiches. I add Peanuts to my chutney rather than adding Cashew nuts to give it richness without adding too many calories. 1. Add the above ingredients in food processor or hand blender except the water and blend well. 2. Check the consistency, add the desired amount of water, and blend once more. 3. Refrigerate this chutney and use within two weeks. It was a Friday night and I was looking forward to a fun weekend with fellow bloggers as I was invited to Novotel Imagica Khopoli to experience Novotel Imagica Khopoli’s scenic monsoon escapade – a unique combination of unbridled fun with elegant luxury. Getaways are important for me because sometimes you just need to get away from it all: the blinking cursor on you’re on your computer, the four walls of your sparsely-decorated “apartment,” the same restaurants and the same bars. Drive down on a Saturday morning along the Mumbai-Pune expressway and find yourself at this beautiful resort in just one and a half hours. The welcoming cream façade of the hotel, topped with cheery red roofs and overlooking carefully manicured gardens promises a weekend of memorable revelry. 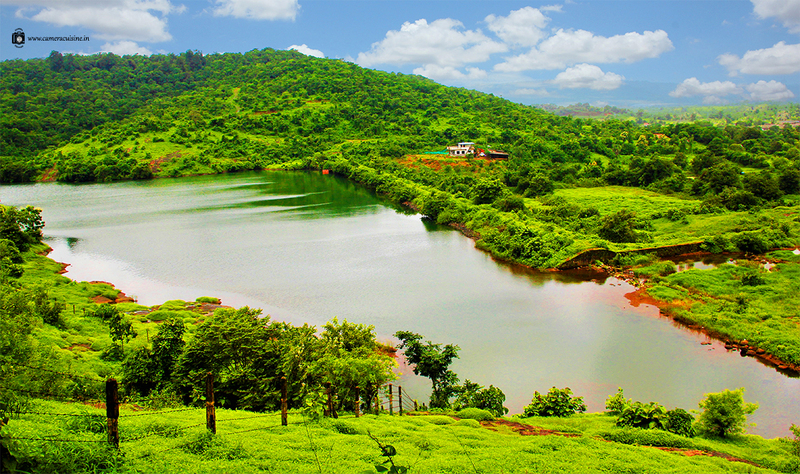 Beyond the resort lie the serene Sahyadri Mountains and just next to it is the iconic Adlabs Imagica amusement park, Aquamagica and the Snomagica. With over 400 hotels & resorts in 60 countries, Novotel from the AccorHotels is located in major international city centres, business districts & tourist destinations. Its latest addition the Novotel Imagica Khopoli in India is adjacent to the Adlabs Imagica and the Aquamagica and is the first theme park property by AccorHotels. 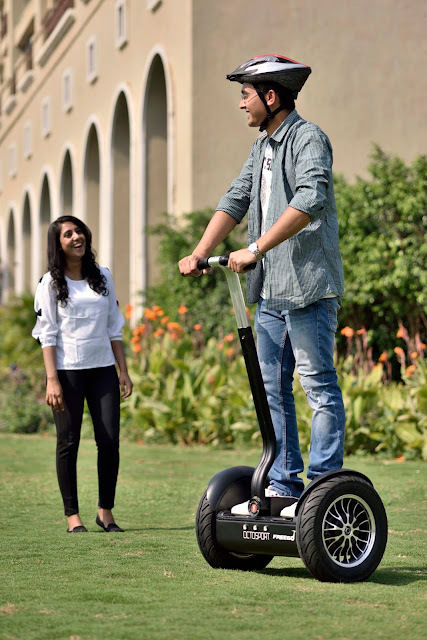 Novotel Imagica Khopoli is aimed to be a destination where fun never ends. Recognizing the trend that Khopoli is an industrial zone and a growing tourist locality, the Adlabs group and AccorHotels India have collaborated to make it perfect for MICE, leisure, weddings and entertainment. The first Novotel property in India to launch with its new Novotel Resorts brand positioning, it has an appearance like no other. The beautiful water fountain at the entrance and green tones cools the eyes almost instantly and takes you on a mystical journey. All the 9 storeys of the building, whisper class and elegance with a touch of edgy, sharp boldness and confidence. The use of marble, stately furnishings, and other bespoke design elements form the signature style for the hotel. The stone artwork of the peaceful Buddha add tranquility to the waiting lounge and lobby. The backlighting of the lobby invites guests and adds glamour and warmth to the reception. The simple elegance of pale wood and cream surroundings are offset with orange tones to create an energetic & youthful environment. The greeting smiles of the concierge is just not enough for this fantasy world. Welcome dances, drinks and hellos from your favourite characters is how they start their day. 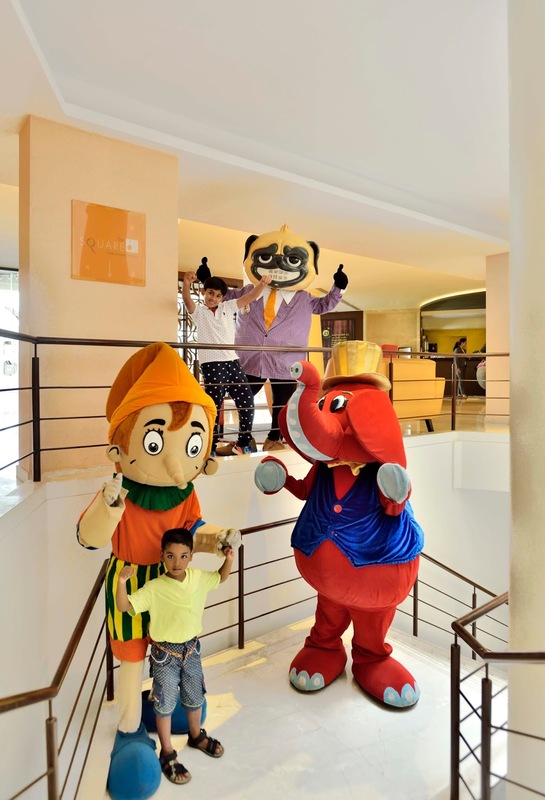 Be it Pinocchio, Mr. India, add Tubbby and more they will give you warm hugs as you enter. The property comes alive with chirpy and vivacious music that plays through the hotels corridors. 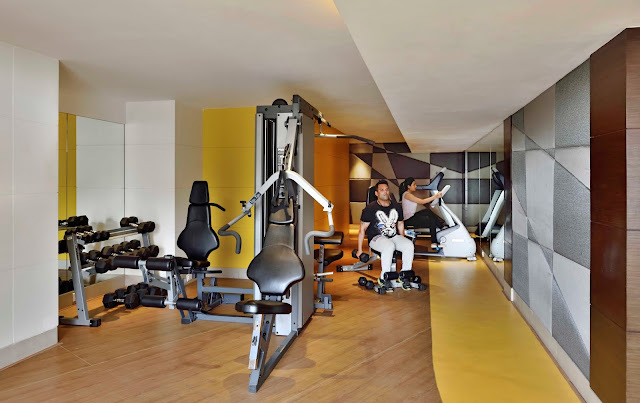 The property comprises of 287 rooms out of which 260 are Superior rooms, 20 are Premier rooms, 5 suites, 1 Presidential suite & 1 specially-abled room which are with views the of Sahyadri Mountains or their infinity pool. We checked-in to the property at 12:00 pm and headed to our respective rooms after the welcome drinks and Canape. We were offered a superior room was completely furnished with modern amenities including Wifi, Key card operated Doors, Comfortable king beds with fully AC rooms, Flat screen television with Free movies on demand, Free in room mineral water, Wi-Fi, Telephones in room & bathroom, Coffee & tea making facilities, Radio, Minibar, Ironing board and Iron, Hair dryer, Dental Kit, Shampoo, Conditioner, Body wash etc. After relaxing for 30 minutes we decided to go for the hotel walk through. 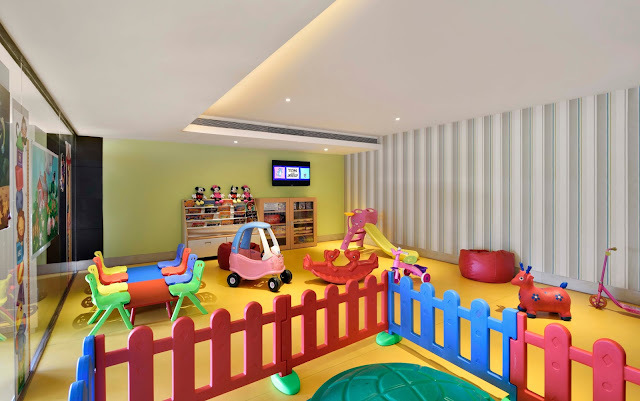 Guests can participate in interactive sessions of storytelling, swimming classes, craft, colouring, painting and clay art or simply leave their children in the capable hands of their favourite characters at the kid’s corner. Be it astrology or treasure hunts, the hotel will organize these fun-filled activities at their prime locations including The Square and the park. The hotel also has a gaming area with fooseball, pool, darts, carom, chess and table tennis. Integrating the theme parks as well, VIP guests staying at the hotel will be treated to a VIP status for the park which includes special express entries to the rides, special assistance and view to watch the parade and a personal guide through the park. There is nothing like a relaxing and comforting dip in the pool. The 20,000 sq ft area comprising of the outlet will make your day. The pool area calms one instantly with the green tones and fresh water. A special area of the pool is reserved for children. Cabanas and private dining areas are installed around the pool for a quiet and intimate dinner. The candle light ambience or a casual chat makes the pool a friendly and spontaneous place to be at ease. Novotel Imagica Khopoli features one of the largest meeting spaces in the Lonavla area with a pillar-less ballroom Casper of 446 sq. meters that can accommodate around 460 guests. The design of the ballroom is curated for weddings and has a height like no other. Be it the chandeliers, the wooden carvings or the light carpets the décor is chosen to match any setting or drapes. Casper can be divided into smaller areas (Casper 1, 2, and 3) for intimate settings in addition to its other meeting rooms - Cinderella & Rapunzel. Designed keeping weddings and MICE in mind, the hotel also features beautiful lawns spread over 1660 sq.meters, a roof top of 2225 sq.meters, a pre function area of 350 sq.meters and green room. The meeting rooms and banquet spaces at Novotel Imagica Khopoli pay tribute to their beloved characters and are named after them. Thoughtfully chosen, there’s an interesting tale behind each one. For example Casper, the pillar-less ballroom is a tribute to the friendly ghost we all know and love. A child’s fantasy film, the plot was designed to be both hilarious and heart-warming. 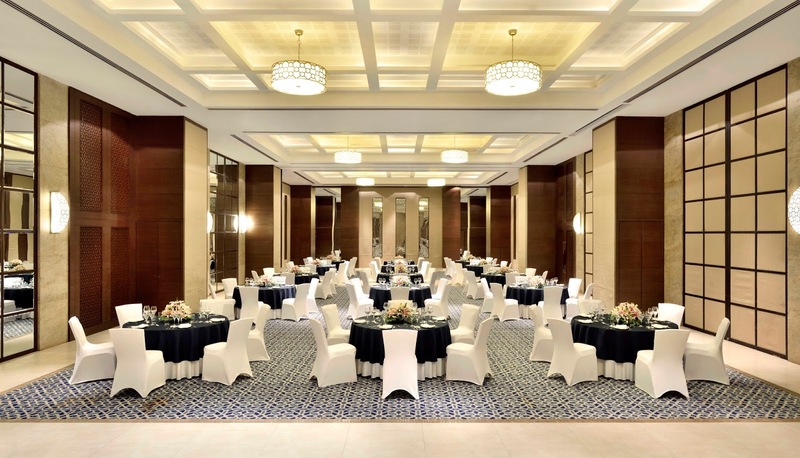 The ballroom can be altered as per the guest’s preference - theatre, classroom, cluster or U- shaped. The Cindrella meeting room of 77 sq.meters is based on the fictional tale every girl dreams about. Drama, fantasy, magic, courage & love is what makes the anecdote wonderful. An ordinary dame ill-treated by her step family soon finds true love in her prince. The Rapunzel meeting room of 24 sq. meters is inspired through the princess with magical golden hair. Locked away in the castle, the princess lets long hair down to allow a prince to climb up who eventually rescues her. Building on the romantic visions, Novotel Imagica Khopoli will lend its space for theme weddings. A place where ‘Happily ever after will begin’, the property will ensure the journey of ‘Forever’ is made special. Be it fairytale, fun, casual or Bollywood, the hotel will add a touch of thrill and excitement with not only the ambience, but also with excellent food and décor. With the Imagica theme park capitol as a wedding backdrop, or an aqua sangeet, your pre-wedding and wedding shoots will be spectacular and one of a kind. Martini Lunch at the "Square"
Novotel Imagica Khopoli is a food lover’s haven; not only does it bring a smile to your face, but there is always something for everyone. Believing in the concept that food is an array of innovative creations and the kitchen is a place to let your imagination loose, the Executive Chef Gaurav Chakraborty prefers experimentation. It is said a family that eats together stays together and the hotel has certainly kept the needs of children in mind while designing their cuisine. The ‘Square’ is the 24 hour all day dining restaurant which will exceed guest expectations by offering outstanding food and beverage products and brilliance through consistent and delightful service. A brand standard and signature of the Novotel hotels, each square offers unique regional menus and ambiance. Based on the name, one will notice the wonderful square and rectangular outlines at the restaurant. The bright colors of the interiors add to the splendor of its 56 ceiling lamps made of fabric. The Square at the Novotel Imagica Khopoli is the hotel’s signature all day dining restaurant, with a scrumptious buffet of Indian and international favorites as well as exciting à- la-carte options including North Indian, South Indian and local specialties with live counters. The standard dishes will be tweaked for the local palate which will allow exciting fusion creations. The live counters and buffet are the highlight of the outlet and include all kinds of treats from live Dosa and Preserettu, Parathas & Pooris, Paniyarm to Wada Pav. There would also be a Western and South East Asian spread including live egg stations with Waffles, Pancakes and French toasts and more. The lunch counters would have live Kebabs, Pizza, Pastas, Bunny Chows, Quebec Style Poutine, and Polish Pierogi. The weekends would have a lavish spread with live Arabic counters, Asian grills and Barbeques. The multicuisine buffet has a wide spread of international and local flavours. Tubbby’s Bistro, is a bistro-style pastry shop, inspired by the character Tubbby from the theme park and follows the same colour pattern through the packaging and the menu. The outlet is designed with mosaic art on the walls looking chirpy with its red and blue colour scheme. It features a wide array of bakery products and local delicacies that are served with smoothies and milkshakes, offering convenient options for takeaways or a quick sit-down bite. Wedding and birthday cakes, macroons, candy bars, lollipops, sweet treats are the signature things on the menu. Being a quiet boulangerie, the menu will also feature salads, coffee, teas, breads, ice creams, variety of ice tea and ice coffee, milkshakes, sandwiches, muffins, cupcakes and more. The outlet will use specially handcrafted kids friendly cutlery with Tubbby designs. After an amazing Hi-Tea at 'TUBBY'S BISTRO' as per our itinerary we headed to 'SnoMagica' - India's largest snow park near Mumbai, Lonavala and Pune. At Snow Park, you can experience as you choose. Play with real snowfall just like in Kashmir, climb a mountain wall, toboggan down a snow slide, play snow basketball, and do the cool dance in sub-zero temperatures. After an amazing experience at 'SnoMagica' we got into our swimwear and were ready to rock and roll - One of the most happening pool party 'Musical Drizzles' – A Summer Escapade. 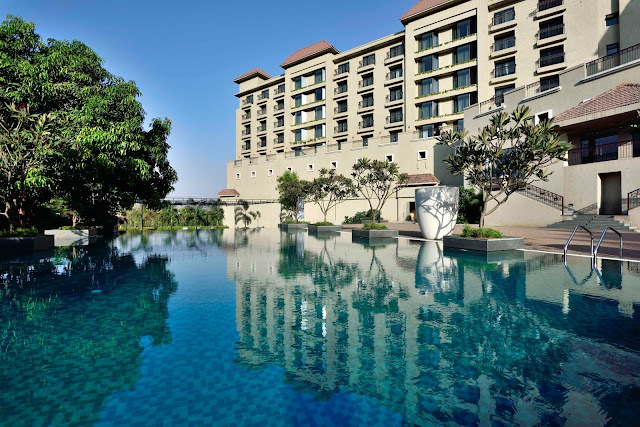 Beat the heat this season with the most happening pool party at Novotel Imagica Khopoli. Rejuvenate yourself as you get drenched in music with rain showers and enjoy a soothing dip in the glistening infinity swimming pool accompanied by chilled beers and select beverages. Time: 8.30 pm to 11.00 pm. The trek is not difficult at all but make sure you carry comfortable walking shoes and a rain gear if you plan to trek in this season. I completely drooled over the desserts. Highly Recommended!! 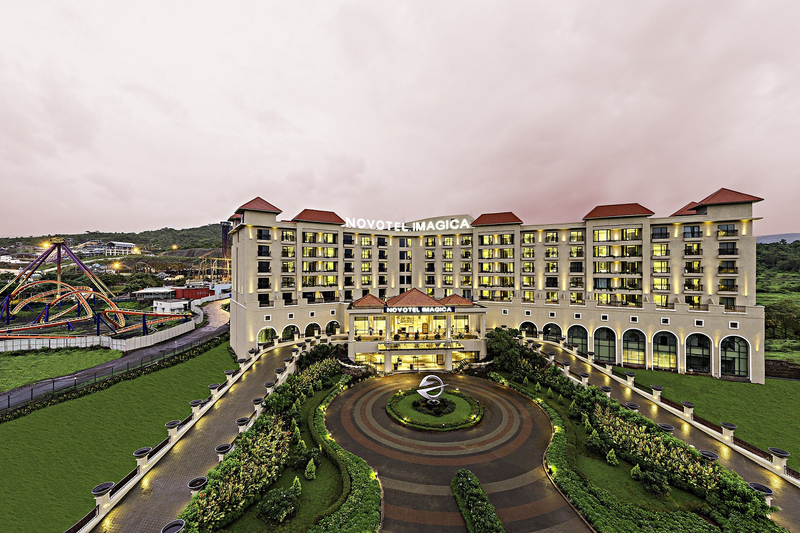 I would highly recommend you to visit Novotel Imagica Khopoli. From the property, to their staff to their hospitality, food everything was perfect. It takes a lot to make things perfect. Kudos to the entire team of Novotel Imagica and I thank them from the bottom of my heart for hosting me and giving me a memorable time. Special thanks to Priyanka, Karishma, Neha, Taraana, Chef Gaurav and Lokesh and lastly to the man who made it very special for us Mr. Srinivas Srirangam the General Manger of the hotel. I am surely taking my family to Novotel Imagica soon. Let me know in the comments section about your experiences when you visit it. Till then Take Care, and keep taking breaks from your busy life and keep exploring!